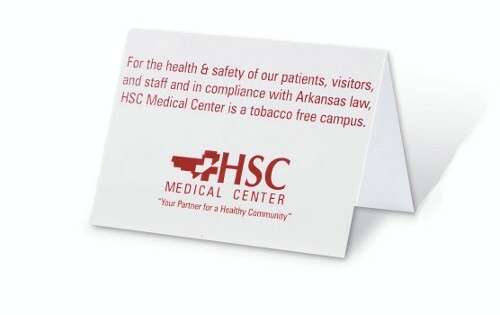 Table top signs are perfect for "Non-Smoking" or "reserved" messages and other information you want communicated. Lightweight, with an easy-to-wipe-off surface, these signs are ideal for hotels, restaurants, reception desks or other public areas. * Imprint area: 3-3/4" X 2-3/4"